The movie 'Bahubali 2', which breaks many records at the box office and maintains new records, has completed 100 days in theaters. The film was released on April 28 this year. According to Boxofficeindia's report, Hindi version of the film has made a business of Rs 510 crore in 12 weeks. The film was released on Worldwide nearly 9000 screens and was released in 6 languages ​​including Hindi. In this film, Prabhas, Rana Daggubati, Anushka Shetty, Ramya Krishnan, Nasir and Satyraj are in the lead role. 1. With 36 crores 'Bahubali 2' is the record for the highest advance booking. The film has doubled Aamir Khan's 'Dangal'. 3. When 'Bahubali 2' was released, there was no holiday, neither a festival. That is to say that the biggest picture of Bollywood stars has failed to be recorded on the first day, the record of pulling the highest audience on the first day is also named after this film. With about 95 per cent of the film, this figure of Shah Rukh Khan's 'Rais' was 70 per cent. 4. Most people reached 'Bahubali 2' and in this movie, in 2017, breaking the record of 'Rais', with the love rattan Dhan Payo, the crew of Dhoom 3 also faded. 5. 'Bahubali 2' has made the highest earning record so far on Opening Day. 'Bahubali 2' broke the record of first day of Rajinikanth's 'Kabbali' earning Rs 47.20 crore. In addition to breaking the record of 44.97 crore of Shahrukh Khan's 'Happy New Year', the film has left behind the earnings of Rs 50 crore on the first day of 'Bahubali' part. 6. Seeing 'Bahubali 2', crossed the 100 crores earnings figure. Where was it estimated to cross 200 million crosses in 3 days, and where did it make SRK, Salman and Aamir together in a single day. 7. With 121 million 'Bahubali 2' has also set the highest earning challenge in the dubbed films. 8. With the earning of 53 crores 'Bahubali 2' has become the highest earning movie on Telugu cinema the very first day. 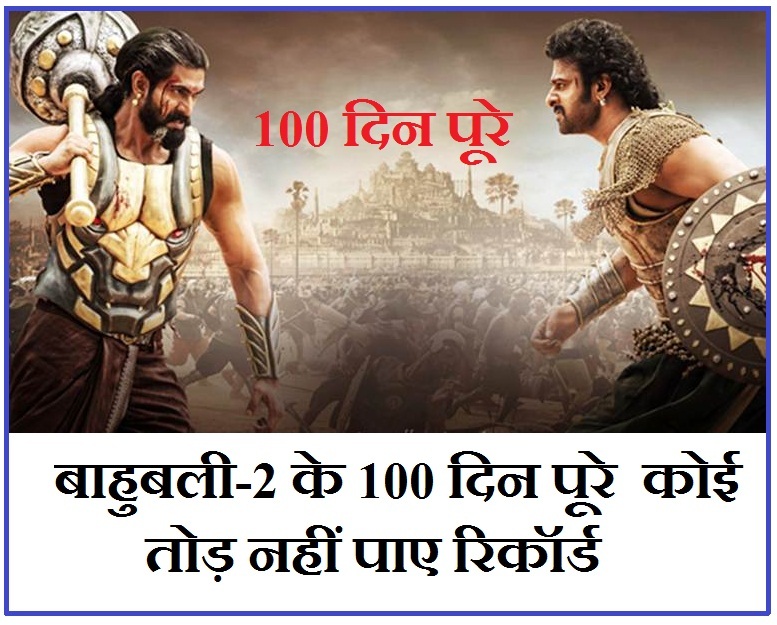 0 Response to "Baahubali-2 100 Days collection not Break even Records"